How To Change Adsense Payee Name In Unsupported Countries? Undoubtedly, Google AdSense is amongst the Supreme methods of earning money online, if you have a well-established blog with decent traffic. Whereas there are lots of countless features for webmasters, there are some problems too because roses and thorns grows on the same little tree. On one side, AdSense gives lots of relief to the webmasters. However, every now and then the same AdSense creates a particular kind of panic. This literally shakes the legs of a webmaster. Today we are going to share with you is a solution of a problem which we personally faced couple of days back. The topic is “Changing Payee Name of Google AdSense Account ". If you are an AdSense user, then you must be well aware from it. However, if you are not an AdSense user then you might be unaware from it. Payee name stands for, the name on which the payment will be deliver. They always send your payments on the selected payee name (which you select when you sign up for AdSense account). 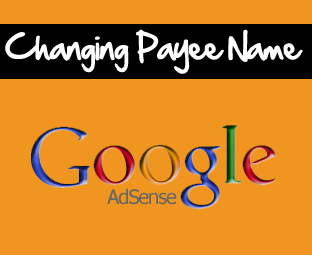 Why To Change Your Adsense Payee Name? There are various reasons of changing Payee names. It can be misspelled or any other reason. I will tell you my personal experience that why I change my Payee Name. 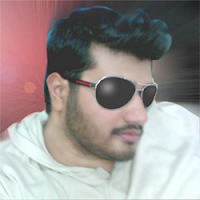 My name is “Haider Afridi” but on my Kuwaiti Identity Card, the full name is written as Haider Afridi Muhammad Amjad. In the beginning, I was not facing any problem while collecting money via Western Union. However, when my earnings increased than the Western Union agent told me that they cannot issue me a large amount on HAIDER AFRIDI because this does not match exactly with my ID card name which is HAIDER AFRIDI MUHAMMAD AMJAD. I was slight surprised and worried too because the option of changing payee name is not available in my country. So what I did I am going to show you. There are two ways though which we can change our payee name. One is by directly contacting to AdSense team and second is via filling a Request Form. I would recommend you to use the manual method (Directly Contact AdSense Team) because I have also changed my Payee name with the same technique. However, the other method also works quite handsomely.
" Describe your VALID reasons here "
I was lucky to get a positive reply from the AdSense team within 24 hours, and my payee name was changed. However, it can take up to 1 week. If you do not get any reply within one week then maintain patience, but do not send emails again and again this might annoy them. This was the Reply that I Got From Google Support. Go To The Adsense Payee Name Change Request Form. Fill out the Forum and Send it to Google for consideration. Hope this technique would help our readers who are unable to change their Payee name. Remember that Google team will change your Payee name only if you have a valid reason behind it. Don’t try to be a spammer because they know your each and every move. Take a lot care of your love ones till then Peace, Blessings and Happy updating. us ma waja lekhna ha, yani kis waja se name change karna chahte ho... ab samjha kiya? Haider Bhai this is ur first post and this is amazing. bro.. hw come the post is by Haider and its appearing Syed Faizan Ali on top?? Can we change payee name to previously banned Publisher? Replies to this email will not be read. Thank you for contacting AdSense by email. knowledge and we encourage you to browse through the topics and search for answers to questions you may have. If you have an issue you need to resolve, we encourage you to start at our Fix an Issue section in the Help Center. us to take action on your account. and search for answers to questions you may have. Sorry sir its not working.... its email address doesn't accept incoming mails and secondly you gave a link of changing payee name form that also not working it broken... Kindly publish that tricks which are working..
Can i change my address on adsense account?